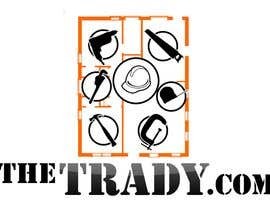 design a logo for a company similar to freelancer. Good choice, actually two winners - including sdk1! That is a good logo ! 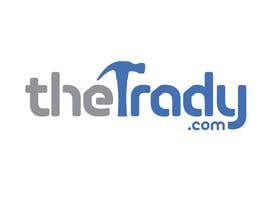 Congrat jonwilliams74 and goodluck for thetrady.com ! If I was you I would choose 171. Its the most original out of the 4 you have narrowed it down to. The other 3 have been done so many times over and over and over!! Think the icon is cool, but font could be improved so you can focus more on the icon. Yeah, the winner takes it all!!! 104 - how can you expect anyone to take your seriously when you can't spell the customers company name right? Hello! Just posted two ideas #151 and #152. #149. Please review. Thank you very much. @CreativeBaked: i agree with you. and i ve been experienced it last contest. and what i got is nothing but tired only. we do hardwork, other just follows, and do a litle touch. then win. its not fair. I agree with ikramniazi, I havnt submitted a design yet, but I will do. What I have found from the other competitions is that people copy each other, and then they copy the person that has the most gold stars and I have to say... there are some really bad designers on here, people are not creating and thinking for themselves! I think as a compromise, do not rate the logos until the last day because people wont copy the highest rated, I find that unfair, they will still copy other peoples design ideas, but then the true designers who bring something new to the table and the creative ideas will stand out over the rest of the competition. Normally, competitions in the real world are done under strict rules sequring the designs nutil the day of public review and jury assessement. Imagine Inventions Competition, will they post inventions in the same manner here? I guess not. But ideas and decisions are even more important than the initial designs. For instance, every design shall hasve a lasting message, however image #41 with time may well come to mean an "amputated hand after an sefety incident" over time. Well, the virtual world has new or no rules, In that case, you will eventually get only old style designs, such as the ones you see with Forbs (image#16) or Times on the front page of this site. You will not be getting designs that specifically work on your business, or the designs with working and lasting ideas will appear at the very last day of competition. I don't agree with ikramniazi, I think being able to see the other contestants work pushes everyone a little harder to create a better design. I really like this system and I have been finding my self impressed with ideas and designs with each competition I have competed in, even if others had the same original concept that I submitted. If you are worried about your creativity being stifled by the other designs you should not look at the other designs until you have completed your concept drawings, that is what I do. I had a lot of fun with this contest, brought me back to my AutoCAD days! :) Hopefully you like my continuous conduit as much as I do! I suggest making the contest sealed so designers won't see each other's logo concepts resulting in more creativity and better quality work. And maybe guranteeing the prize. put up a logo design and find out :P! Hey guys, I have a question regarding the bids. Does this kind of contest "logo contest" diminish my bids number (30 per month) or it has nothing to do with it?